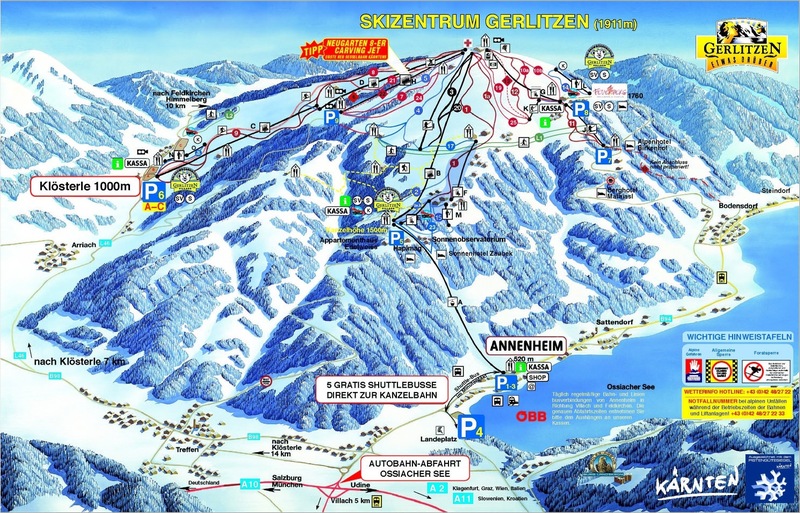 Carinthia among the main ski areas in Austria, but a few quality ski resorts are located here as well. Among the best of them decides to include Gerlitzen with 52 km of slopes mostly medium difficulty. Altitude 1911 m only against adverse natural snow cleaned snow cannons covering 80% of the tracks, so skiing is assured od November to April. Pleasant hotel near the slopes with favorable prices for families and corporate teams with a request for seminar rooms. Hotel Educare is located in the village of Treffen, shops about 100m. Villach larger city center and railway station 5 km, 30 km to the airport Klagenfurt. Lake Ossiach nearby. Sonnenresort newly opened complex is located in a panoramic position overlooking the mountains and lake in Ossiachersee Kanzelhöhe. The village is located at the foot of the Alps Gerlitzských at an altitude of 1460 meters. Bodensdorf and a lake about 12km. Villach about 10km. Almresort Gerlitzen Kanzelhöhe is located in a panoramic position overlooking the mountains and lake Ossiachersee in Kanzelhöhe (at Treffen). The village is located at the foot of the Gerlitzen Alps at an altitude of 1460 meters. Bodensdorf and the lake about 12km. Villach about 10km. The traditional Carinthian Hotel Gasthof Zur Post is located right in the heart of Ossiach am See. It represents an appropriate mix of accommodation on the lake and also close to the ski resort. Family run Strandhotel Prinz is located directly on Lake Ossiacher about 300m from the center of Ossiach am See. Shops in Bodensdorf about 7, about 12 km in Villach. Klagenfurt airport 25km. 504 m altitude resort. Hotel Faakrseehof is located in the center of town Faak am See, only 10 minutes walk from the lake and about 200 meters from the shops. Žlezeničná station about 500m. Kaspar Melchior Balthasar Apartments (KMB) are located directly on Lake Ossiach Bodensdorf in town at the foot of the ski area Gerlitzen with an altitude of 1911 meters. Center just a few minutes. Hotel Familienresidenz, comfortable hotel suitable for families and strategically located between the four ski resorts. Located on the outskirts of Villach Warmbad about 3km from the city center and 2km from the shops. Railway station about 2km Villach, Klagenfurt airport about 50km. 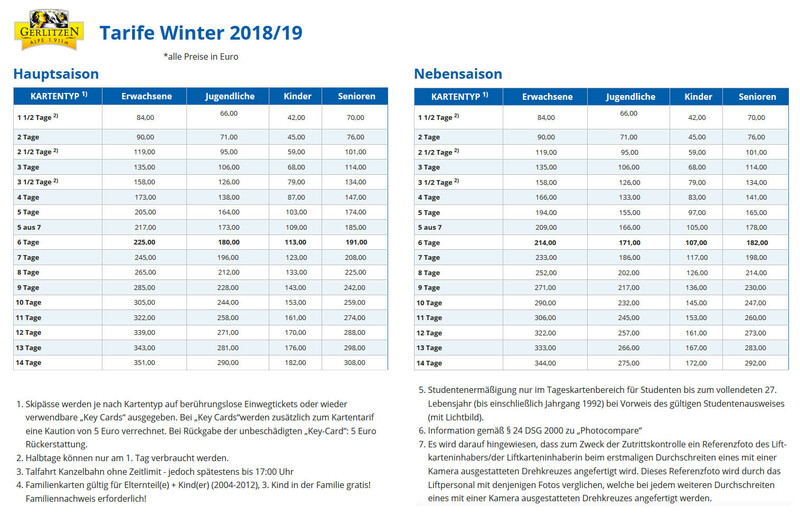 More possibilities of skiing offered in further ski resorts in Austria can be found here - Skiing Austria.